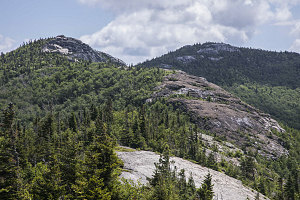 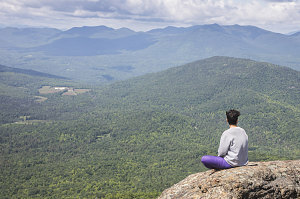 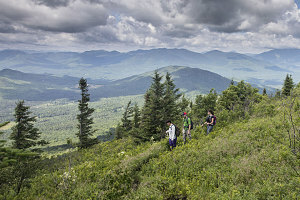 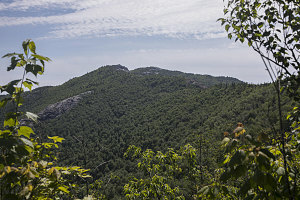 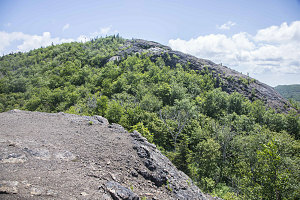 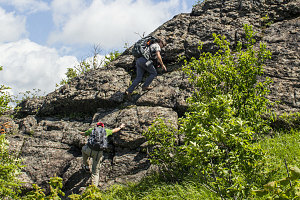 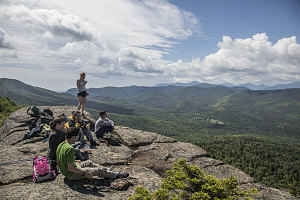 Today we returned to a perennial fav - Jay Mountain and its associated ridgeline - in the Keene Valley area. 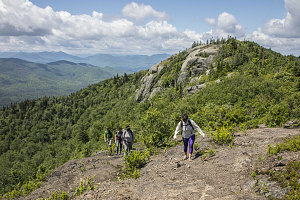 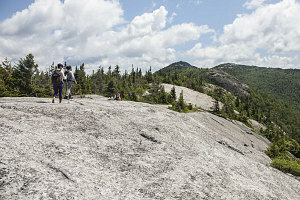 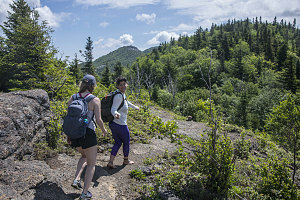 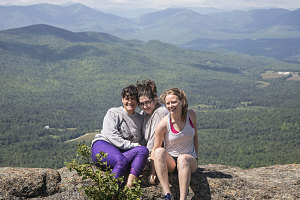 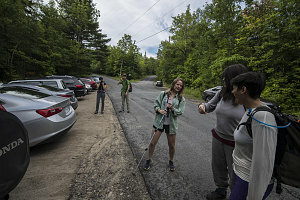 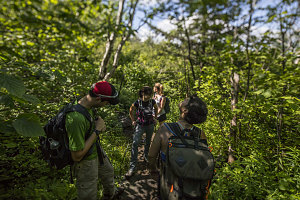 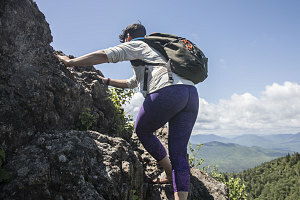 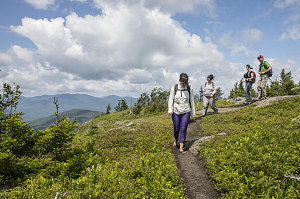 Jay is a perfect hike for an intro to the Adirondacks, and that's just what today was - a introduction to not one or two newcomers - but four new-to-the-Adirondacks hikers: Trevor, Rae, Tanya, and Claire. 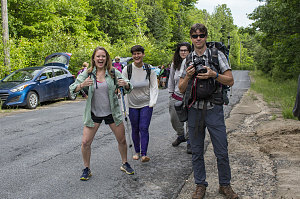 They were in for a fine specimen of a route. 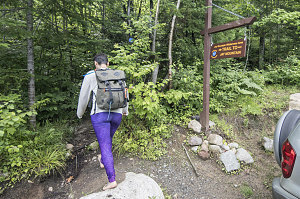 Not being a particularly long hike, we didn't need to start off super early, and we put boot (or foot, in the case of Rae) to ground at around 9 a.m. 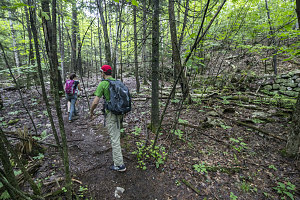 The forest was damp and moist from recent rains (oh how there's been a lot of rain this spring and summer, everywhere in the northeast!). 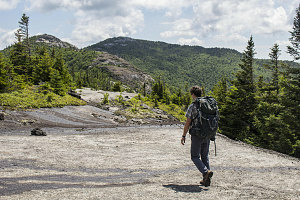 In fact, there was so much moisture that there were many sections that were actually muddy - never seen that before on this lightly-eroded trail. 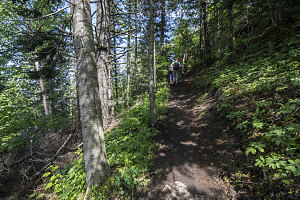 We took our time getting up to the good stuff - the start of the ridgeline - arriving at that point at about 11 a.m. From there, we began to enjoy all that is great about Jay: panoramic lookouts, grassy little paths, mountaintop meadows, open slabs, crags, and fun little scrambles.